VCSE Sector Leadership Group is keen to hear from VCSE organisations that are considering large-scale capital projects (£1 million plus) in the health and social care space and who are looking for capital funding or other collaborative options. As an important provider of health and wellbeing services, it is vital that the VCSE (Voluntary, Community and Social Enterprise) sector works with the Health and Wellbeing Board (HWB) in the strategic planning and delivery of these services, to achieve positive outcomes for the children, young people and adults of Norfolk. 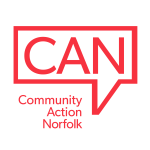 The report below summarises the outputs of three engagement events which were jointly hosted by the Norfolk Clinical Commissioning Groups (CCGs), Norfolk County Council (NCC) and Community Action Norfolk in March 2017. The purpose of the events was to provide an initial stage of engagement for Voluntary and Community Sector (VCSE) organisations around the Norfolk and Waveney Sustainability and Transformation Plan (STP). The third annual Norfolk Voluntary, Community and Social Enterprise conference is being held on Weds 5th July at The Space Conference Centre, Norwich. The Norfolk Voluntary, Community and Social Enterprise (VCSE) Sector Leadership Group (SLG) is holding an election for 1 of the elected places on the group. Norfolk's Sector Leadership Group (SLG) Election 2017 - Everything you need to know! We are asking for nominations for people to join the Norfolk VCSE Sector leadership group and play a critical role on behalf of the whole sector, communicating with public sector partners and helping us work together to find new ways of providing essential services and opportunities.